You will find above some pictures of the family record (i.e. JiaPu, 家谱) held by the Wu family branch of MengCun town. 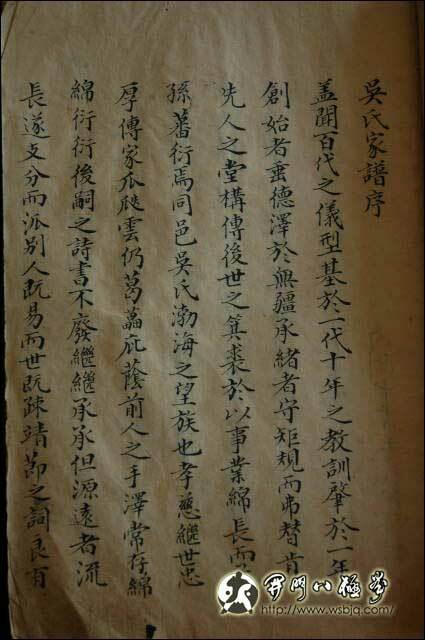 This JiaPu was initiated in the 9th year of DaoGuang emperor (i.e. 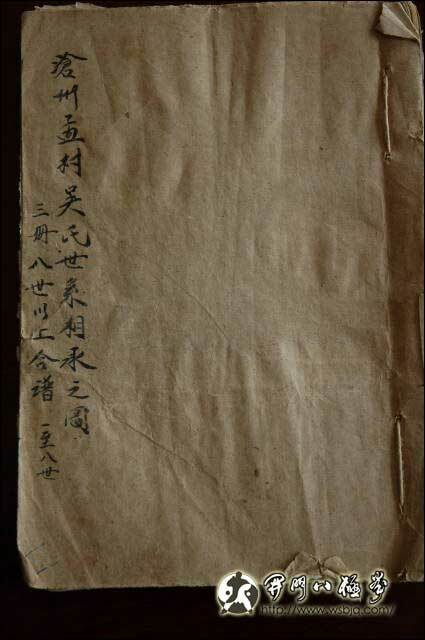 1828), in order to keep the memory of Wu Tai (吴太， also called Wu BinXian 吴宾贤) and of his decendants, who left the CangZhou main branch of the Wu family in order to settle in MengCun town (see "Origins of the Wu family" for more details). 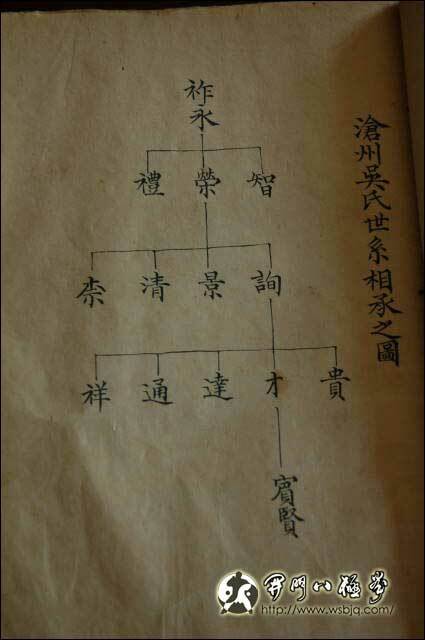 The full record is now made of 22 volumes, and the chart presented in its first volume allows to trace back the origin of the Wu family up to Wu ZuoYong who moved from AnHui province to CangZhou in 1399. 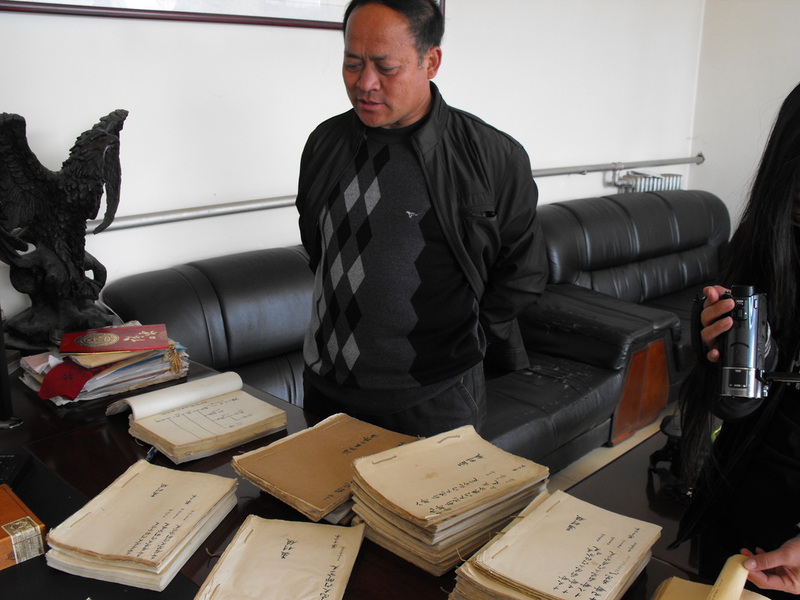 The pictures above were produced by courtesy of Mr Wu ChunQing (吴春青), keeper of the MengCun town Wu family record.